The Wheels on the Bus Go YUM YUM YUM. 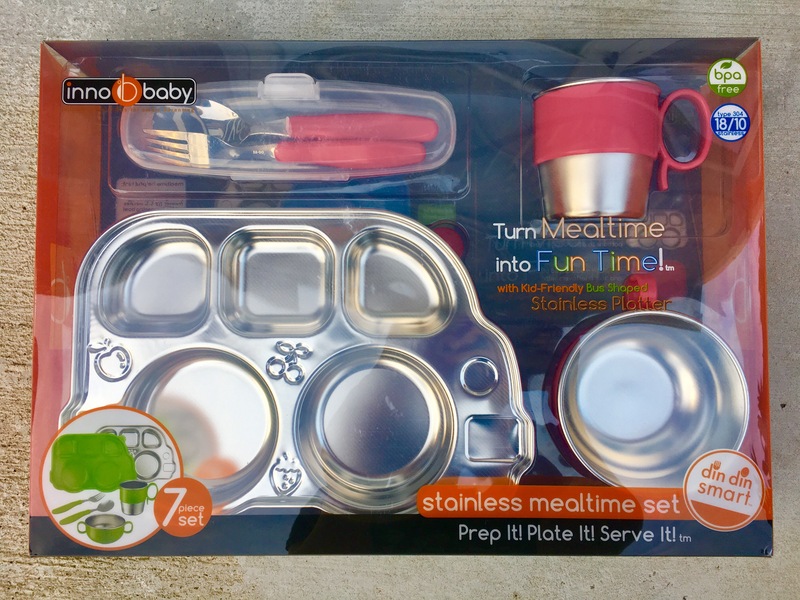 I received a 50% discount on the Innobaby Din Din Smart Stainless Mealtime Set in exchange for my honest opinions. With shipping, I paid $33.71. The retail price for the set is $49.99. 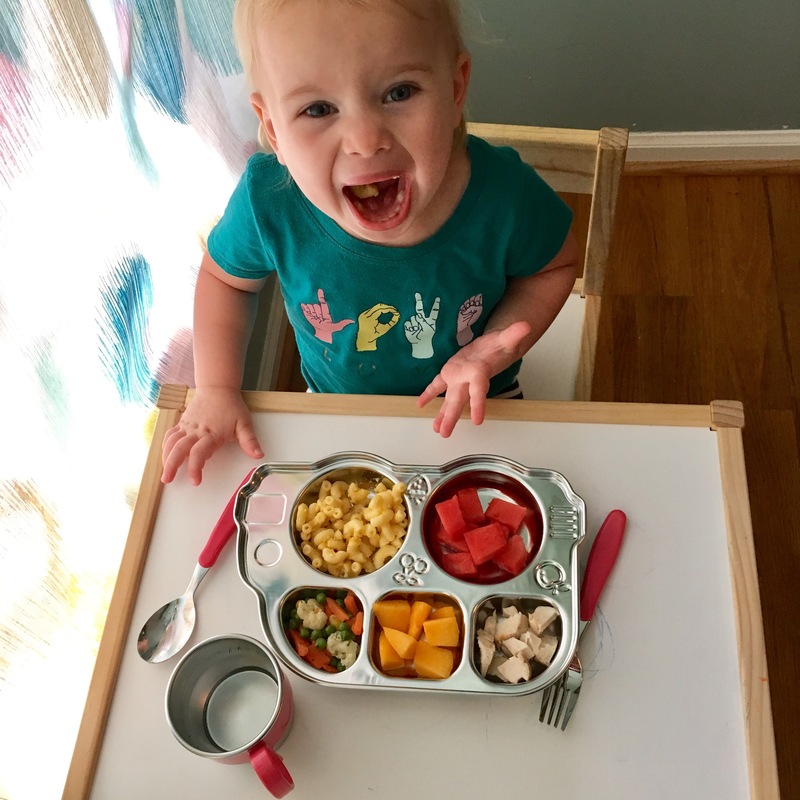 And dude, I was SO EXCITED, because I have wanted to try one of these Innobaby Bus Platters since I saw the Innobaby booth at MommyCon DC last year. When I got the email to apply to become a Brand Ambassador, I was like, YES PLEASE. Pick me! Pick me! 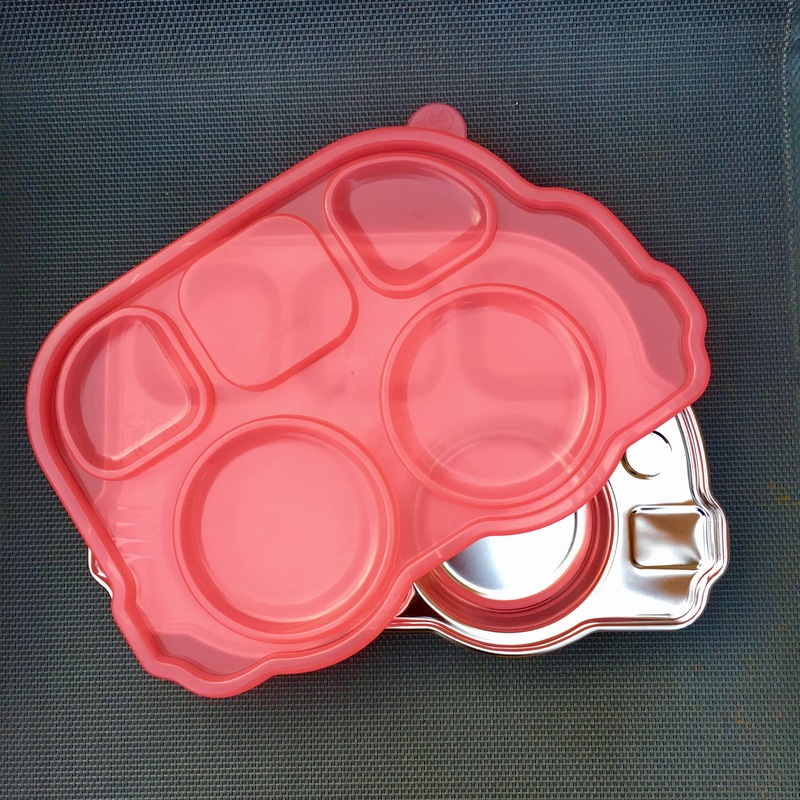 I fell in love with these platters at first sight because they are 1) freaking adorable and 2) stainless steel and 3) DIVIDED plates because you never know when a toddlers food is allowed to touch other food and 4) they have a lid that keeps the compartments separated. Even if you shake it upside down which I definitely did. Babystar loves her new ‘bus plate’. She has only had it a week but asks for it by name. She tries food from the bus that she doesn’t normally try. I think the smaller sections are perfect for introducing new foods. And since they are completely separated, they don’t touch her favorite foods so maybe they are less threatening? She also really likes the cup and utensils that come in the Din Din Smart Stainless Mealtime Set. The cup has a cool handle, and she calls it her ‘coffee cup,’ which is just adorable. The utensils are actually metal but with a chunky plastic handle, and I notice that she uses her fork more when she is using this metal one. It must work better at stabbing her foods than her plastic forks. I wouldn’t give the metal fork a baby that was just learning about forks, though. For safety and all that jazz.